My Sugar Free Cinnamon Raisin Bread Recipe! Get Ready For Some Raisin-Class Explosions Of Flavor In My Sugar Free Cinnamon Raisin Bread Recipe! Home (Sugar Free Recipes) » Bread » Get Ready For Some Raisin-Class Explosions Of Flavor In My Sugar Free Cinnamon Raisin Bread Recipe! 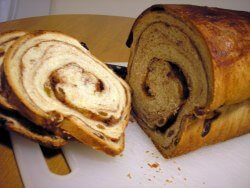 This Sugar Free Cinnamon Raisin Bread Recipe is really similar to my old bread machine cinnamon rolls. But the addition of dried fruit really makes a difference in the texture of the bread. 1In a mixing bowl, dissolve yeast in warm water. 2Add almond milk, 1/16th of a teaspoon of stevia, oil, salt and 2 cups of flour. Beat until smooth. 3Add raisins and remaining flour to form a soft dough. Pour out onto a floured surface and then knead it until it's smooth and elastic, which will take about 6-8 minutes. 4Place in a greased bowl, and then turn it once to grease the top of the dough. Cover and let rise in a warm place until the size of the dough doubles, which will take about 1 hour. 5Punch the dough down with your fists on a lightly floured surface until it gets shaped into a rectangle, then cut it to divide it in half. Roll each half into a 15-inch x 7-inch rectangle. 6Combine cinnamon and remaining 1/16th of stevia and sprinkle it over the dough. Sprinkle water over top of the flattened out rolls. 7Starting with a short side, roll up each roll tightly, like a jelly-roll. Pinch the seams and the ends to seal. 8Place, seam side down, in two greased 9x5-inch loaf pans. Cover and let rise until doubled, which will take about 1 hour. 9Preheat oven to 350 degrees F and bake for 30-35 minutes. Remove from the pans and let cool completely. 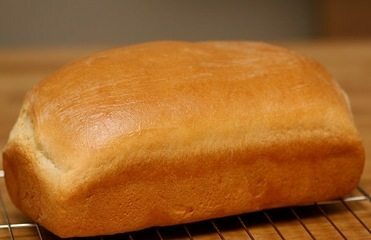 10Combine the glaze ingredients and drizzle over loaves. Add or subtract some cinnamon depending on your tastes. Some people put in more than double what I do! 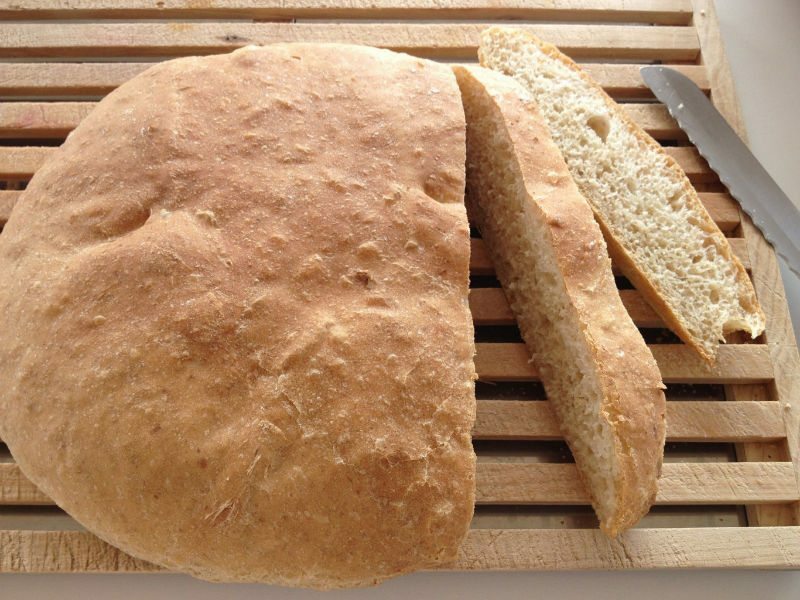 Nothing Beats Homemade Sugar Free Bread! 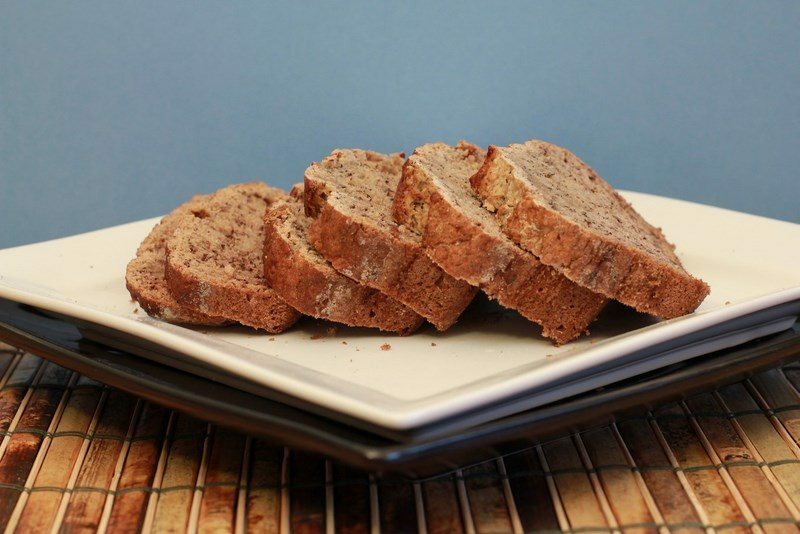 A Sugar Free Banana Bread For The Ages A Delicious Dessert-Like Sugar Free Honey Bread Recipe – Get Those Tastebuds Dancing! Sugar Free Bread Machine Cinnamon Rolls That Are So Good, You Will Never Use Another Recipe For Them Again! My Sugar Free Apple Cinnamon Bread Is The Perfect Dessert Treat!